Have a great day to all blog viewers! What do you know to become slim? Eating more protein than fats, body exercise or aerobics and what else?…Like her swimming is good for slimming body…Don’t you think so? I want to join with her…Hehehe! But too much slim is not good. Have a nice day to all! Good day to all blog viewers! I hope all of you are doing fine. Crispy Onion Rings is one of a good combination of beer. Has its simple ingredients and very simple to cook. Slice it by circles and rinse into the starch and have it deep fry. It tastes crunchy and distinctive onion taste. Dip it with vinegar when you have to bite. Have a nice day! 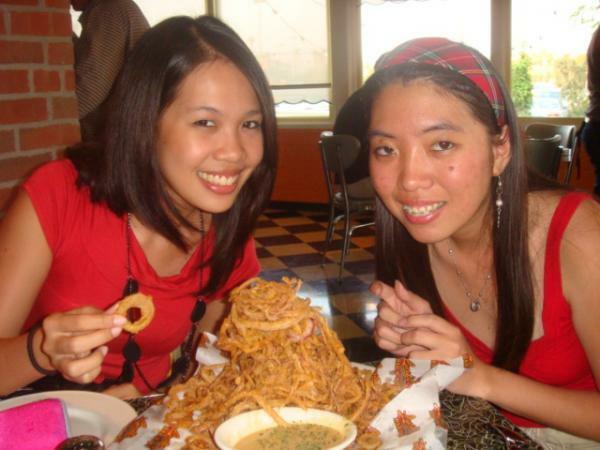 Enjoy eating onion rings! Good day to all blog viewers! How are you doing there? Have a great day to all. Well, this is the summer outlook 2009, don’t you think so? So great swimming on this coming summer…especially surrounded of a beautiful lady like her. Perfect summer outfit in the pool is a two piece bikini for women’s wear…Hehehe! Don’t you think so? Have a nice day to all!